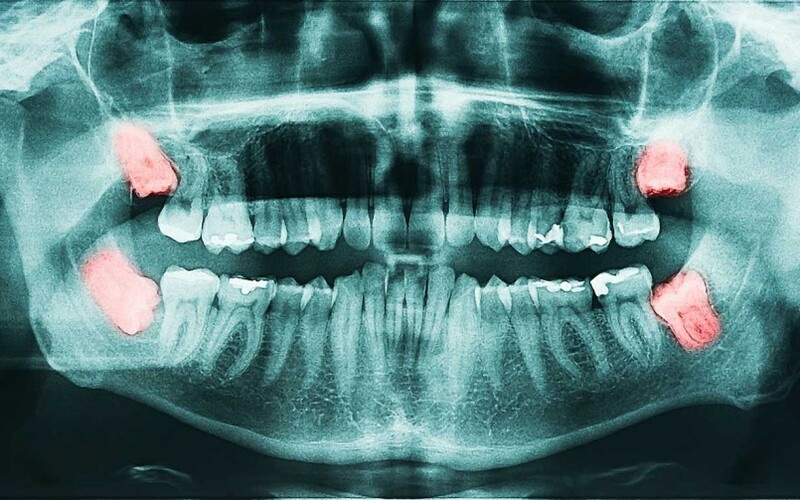 HomeBlogHave you ever wondered why you have Wisdom Teeth? Have you ever wondered why you have Wisdom Teeth? What are wisdom teeth? Good question. A third set of molars, which emerge between the ages of 16 to 25. As soon as they erupt, we are encouraged to have them extracted, especially when chronic pain and discomfort is felt. I had all four removed at the tender age of 18. I didn’t think twice about having them removed, as it was the norm. It is only now that I’m interested in finding out the nitty gritty about wisdom teeth. Interestingly, wisdom teeth are linked to our ancestors – I’m talking 100 million years ago. Our diets were full of tough, chewy foods such as leaves and raw meat, which required a lot of chewing. As a result of all that chewing action, we had an extra set of molars to replace the ones that became worn down or loose; eventually falling out. An extra set of molars surely came in handy. Today, we eat softer, processed foods, and a dentist is just a phone call away. Over time, our jaws have become significantly shorter, plus wear and tear on our molars is less, resulting in extra teeth and overcrowding issues. It has been well documented that removing wisdom teeth at an early age – that is, before the age of 24 – results in a successful outcome, as the roots of a wisdom tooth is not fully formed. On the flipside, wisdom teeth that are removed at a later date tend to incur complications. Not all people need their wisdom teeth removed. Dentists consider many factors before removing wisdom teeth such as dental crowding, gum disease, age and the condition of the second molars. For example, wisdom teeth that are fully encased in the jawbone are considered unproblematic. On the other hand, wisdom teeth that are just sticking through the gums can be a problem, as cavities, gum disease and infections are more likely to occur. Either way, best to consult your dentist about the impact your wisdom teeth has on your oral health, as everyone is different! Not all wisdom teeth need to be removed. When a wisdom tooth appears cleanly through the tissue without affecting the adjacent tooth, the wisdom tooth can be retained in the mouth with little concern as long as the person is able to brush and clean it thoroughly. Not all people need their wisdom teeth removed. The above-mentioned measurements are very important for a dentist, so he should consider them before removing wisdom teeth.